The new Asian American civil war over affirmative action? What’s better: four As or five? If you haven’t noticed either group, don’t worry, you will. They’re forming our community’s Mason/Dixon line. Well, you didn’t expect Asian Pacific American Heritage Month to go off without a hitch, did you? Instead of unity, we have this, as yet another gauntlet has been thrown in the fight against affirmative action, this time a double banger. A coalition of Asian American groups, including the Washington, D.C. chapter of 80-20, have joined forces to file two administrative complaints—one with the Civil Rights Division of the Department of Justice in Washington, D.C., and another with the Office of Civil Rights in the Department of Education in Boston. It’s a separate battle from the one begun last November by Students for Fair Admissions, a subgroup of the Project for Fair Representation, and led by conservative activist Edward Blum. That suit alleges that Harvard and the University of North Carolina admitted substandard minority applicants because of their race in violation of recent Supreme Court directives favoring race neutral policies. Blum, the organization’s leader, represented Abigail Fisher in a case against the University of Texas that went before the Supreme Court in 2013. Fisher lost, to the glee of affirmative action supporters, but Blum hasn’t given up the fight. This new coalition behind the complaints filed this week are heavy weighted with the same groups of Asian Americans who successfully fought a proposed plan to restore affirmative action in California’s public institutions. And so we have the anti-affirmative action Asian Americans: the AAAAA. On the other side are the Affirmative Action Asian Americans. The AAAA. Don’t go with what a Tiger Mom might say. Four As are still better than five. The four As include most of the traditional Asian American Pacific Islander groups (including AALDEF) that have long stood up for equal opportunity in higher education, including affirmative action. You can see the pro-affirmative action groups’ response here. Supporters point out that the anti-affirmative action folks are simply wrong to equate affirmative action with quotas, which everyone acknowledges are illegal. Indeed, affirmative action as it exists has done more to create the equity in education that both sides want to see at places like Harvard and others. 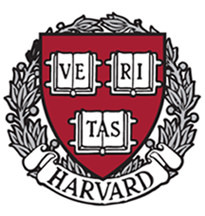 The problem arises when schools like Harvard are forced to make tough choices, meaning that some 4.0, high-scoring candidates are rejected. But it’s the wrong question. The right question is where’s the space? Where’s the resources? That some top-scoring Asian Americans don’t get into Harvard doesn’t necessarily make a system racist. Indeed, the damage is neutralized when the same 4.0 is able to get a great education at another top university. But that message isn’t getting across. We’re left with a growing bumper crop of the most ideal “victims” of affirmative action: Asian American Harvard rejects. And they are ready to fight. Their advocates include Yukong Zhao, 52, a high-tech worker who immigrated from China in 1992. He said that many who join his coalition are recent immigrants, well-educated tech workers who simply want the best education for their children, and don’t understand how students with great grades can get rejected from top schools. “It’s not right,” he said to me on the phone on Thursday. In many ways, this battle could have been predicted by the current profile of the Asian American voter: 62 percent foreign-born vs. 38 percent U.S. born, and their perceptions about civil rights couldn’t be more different. When I asked Zhao if he thought the complaints filed against Harvard symbolize a split between foreign-born Asian Americans and those born here, he was pretty direct. But read the statement from the traditional civil rights groups in our community and it’s clear. There’s a real gap when it comes to understanding affirmative action. That makes it more than just a wedge issue. It’s practically nuclear for Asian Americans, an atom splitter for a community that still needs all the unity it can muster to achieve any real progress. Beware of the polarizing politics ahead.